This Xerox WorkCentre 7556 Multifunction Printer has awesome printing speeds of 50 pages per minute! 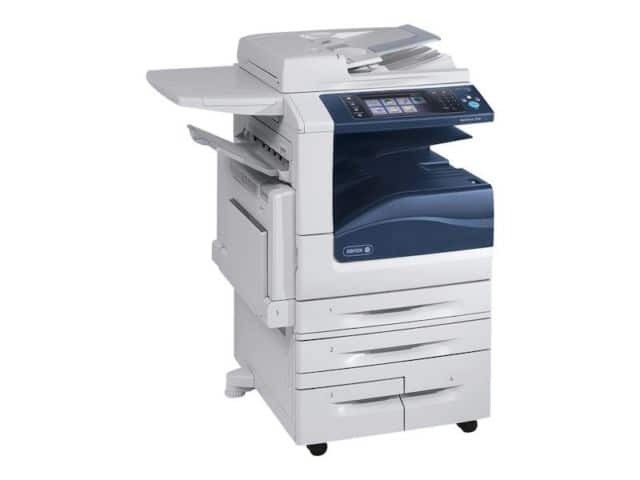 This Xerox MFP is the tool that you need to help with your business output as well as lowering your costs. Important files should stay secure when you are copying. This copier allows for you to prevent unauthorized access. It has powerful authentication features such as network authentication, smart cards, and role-based and function-level login ensure only authorized users can access the device. Get the Xerox WorkCentre 7556 Multifunction Printer to make sure that your files are safer than ever.